Torello Marketing provides Video creation and conversion, Platform customization for target platforms, Audio streaming and editing, Photo gallery creation and more. This 2 minute "video slideshow" captures highlights from the comic entertainment show Casey Carle's Bubblemania!" Torello Marketing was charged with producing an entertaining that demonstrates the skills and learning objectives of the science show: "Bubblemania! Science, Art & Comedy". Created by utilizing photography from the Torello Marketing directed photoshoot and adding motion, captions and subtitling and special effects. Overlaid with the music from the shows official soundtrack. Torello Marketing's task was to sift through a considerable amount of video footage to isolate and sequence scenes from this new production into this 4.35 minute video. Output to Youtube and other formats for submission to prospective venues. Presentation in customized "Bubblevision!" player on client web site. Challenges included identifying the footage of sufficient quality (most was relatively poor quality) and enhancing quality, removing camera shake. Added opening graphics, audio track and scene transitions. Optimism: It is completely up to you! Torello Marketing created a series of motivational slideshows to match the client's narratives on a variety of topics. Services included image selection and creation, titling, transitions, voice overlay. Video: TVLand's "Best Night In"
Casey Carle presents simple tools to make bubbling fun Torello Marketing's task was to extract, sequence and splice together footage from an episode of TVLand's "Best Night In" in order to present those segments featuring the performer Casey Carle. 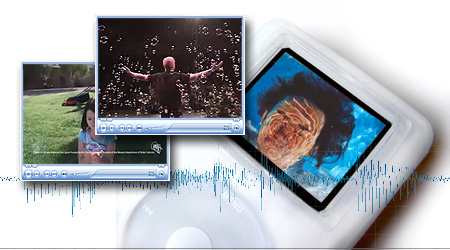 Services included editing, transitions, titling and optimization for web broadcast. Bubblemania Live 2009 Torello Marketing's task was to extract, sequence and splice together original still images from a live stage production into a sequential slideshow with transitions, titles, audio and special effects that conveys the timeline and excitement of the actual show.